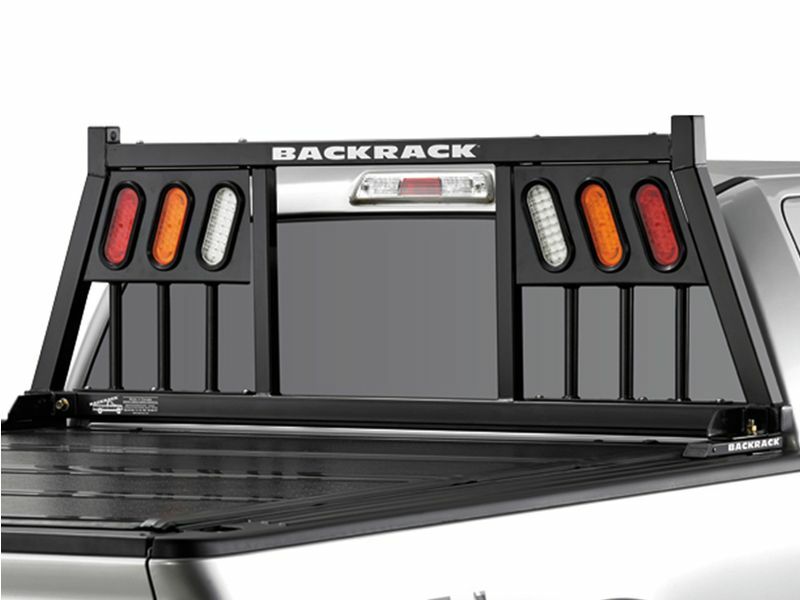 Get the Backrack Three Light headache rack for your work truck. Each rack provides not only additional style, but endless functionality. Constructed from heavy-duty steel, the three light cab rack is built to last. The durable lighted design is coated in a black powder-coat. Lights are sold separately, however the slots accommodate any standard trailer light. Easily install the Backrack Three Light headache rack by yourself. Once installed, you can haul your ladder racks or other long cargo without any worries. Get this lighted contractor safety rack today! Your Backrack insert rack is backed by a limited lifetime structural warranty with no warranty on the finish. Install the Backrack Three Light Headache Rack in your own garage. If you need help, give us a call at 877-216-5446.